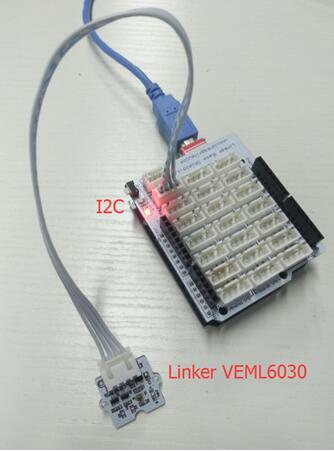 Linker VEML6030 uses Vishay’s High Accuracy Ambient Light Sensor VEML6040. 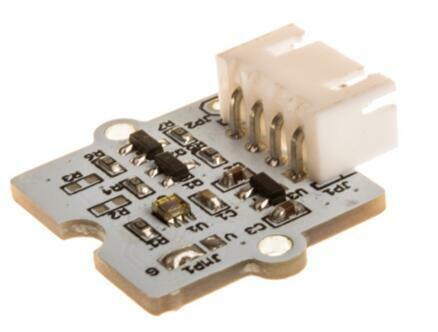 VEML6030 is a high accuracy ambient light digital 16-bit resolution sensor in a miniature transparent 2mm x 2mm package. 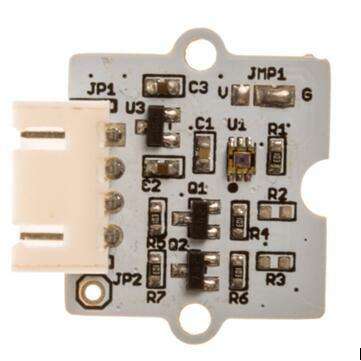 It includes a high sensitive photodiode, a low noise amplifier, a 16-bit A/D converter and supports an easy to use I2C bus communication interface and additional interrupt feature. The ambient light result is as digital value available. 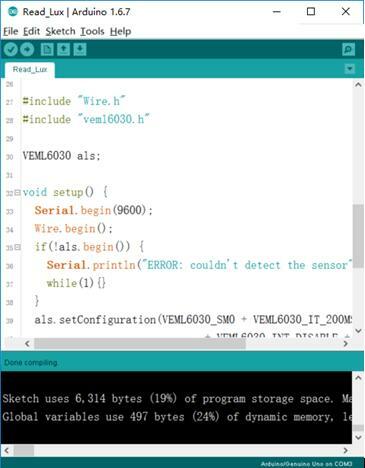 Place the VEML6030_master library folder your ”arduinosketchfolder/libraries/ folder”. 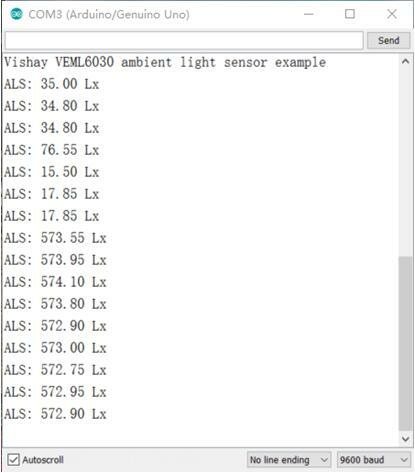 Open File->Examples->VEML6030->Read_Lux and upload to your Arduino uno wired up to the sensor. 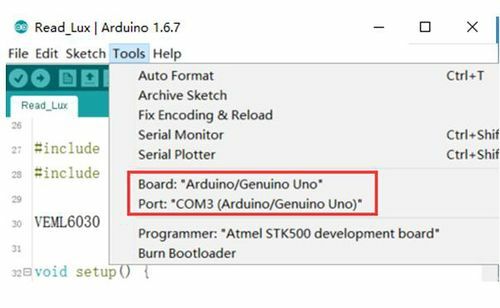 Upload to the Arduino and open the serial console at 9600 baud to see the ALS data output.